Who Unfollowed Me: WHY? and HOW DARE THEY! For those of you struggling with your use of stalker/unfollow apps, let's crack open a can of LaCroix and have some real talk shall we? Any social media manager can tell you, digging into the analytics of an account can be an invaluable tool to help shape your brand voice, strategy and content. And while digital marketers spend monthly team meetings pouring over data for learnings, you know what they don't do? Have a long conversations about why Sally in Tacoma, Washington unfollowed us. "What could we have done to make Sally unsubscribe?!" And they don't have a push notification that goes off anytime any other "Sally" unfollows them either. Can you even imagine a major brand like Nike with millions of followers keeping track on that level? But my guess is building a social following had a lot less to do with the real reason you forked over a couple of bucks and your Instagram handle and password to some random (possibly unvetted) app. You use it because, you've just gotta know. With this app you don't just have a hunch as to who unfollows you, you have an AHA! Knowledge may be power, but how does knowing who has unfollowed you made you feel any more powerful in your life? I'm going to take a wild guess that it's actually making you feel pretty crappy (at best). 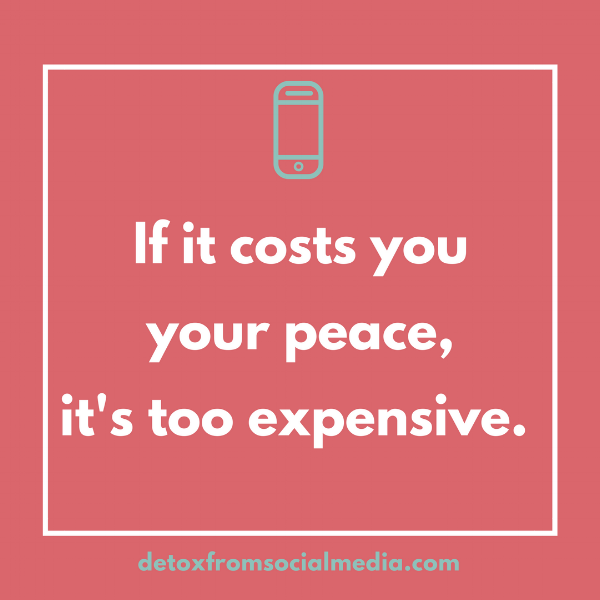 What are these unfollow apps really costing you? Which brings me to my friend Joey. Joey and I started out as study buddies in high school, but soon became friends because I found I could be my dorkiest, silliest, weirdest self around him. He just made me feel so incredibly comfortable in his presence. (People who are comfortable in their own skin tend to do that.) Not long ago, Joey shared his secret to being confident and comfortable, and it came from an unsolicited piece of advice from an unlikely source. He said the best piece of advice he ever got as a kid was from a teacher who said point blank, "Some people in life just aren't going to like you, for reasons you'll never know." Some kids may have been crushed by this news. But Joey, he was liberated. Some people are going to unfollow you in life, and for reasons you'll never know. You could spend every waking hour trying to make your social feeds as vanilla as possible to try and appease all the "Sally's" in the world. But guess what, some people still don't like vanilla. If you answered NO to all of these questions, guess what? You have NO REASON to keep yourself up at night. You are free to move on to the next thing. Like most things in life, it's probably nothing you did, no matter how personal it feels. And c'mon if you're really being super honest with yourself, you can understand how a work "friend" from 5 years ago whom you never see or hang out with (and maybe never did) could unfollow you. How does knowing who unfollows me add to my life? What do I have to gain by not knowing who unfollows me and using an app like this?